Place the potatoes in a large pot and cover with cold water by 1 inch. Bring to a boil and cook until the potatoes are fork tender, about 15 minutes. 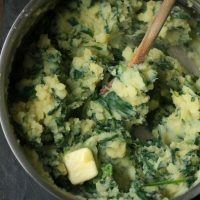 Fold in the spinach and cook for an additional minute. Drain the potato mixture and return to the pot along with Â¼ cup stock, 1 teaspoon salt, and the oil. 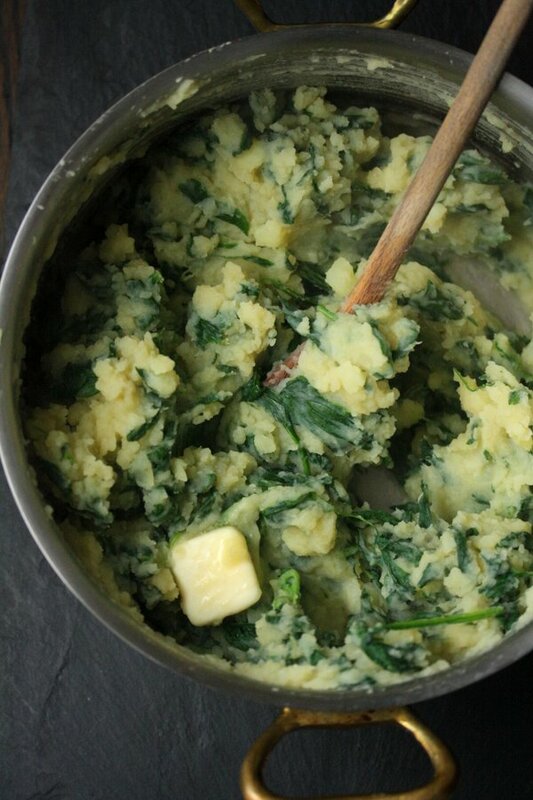 With a fork or masher, smash the potatoes until semi-smooth. Add more liquid if the potatoes seem too thick and dry. Fold in the butter and taste for seasoning.